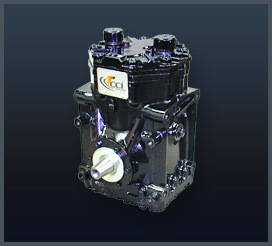 Engine drive compressors used in conjunction with heavy duty or off-highway equipment air conditioning systems have been used for many years. 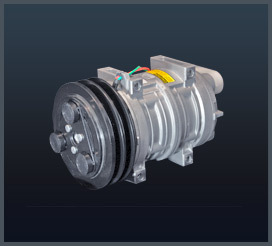 In applications where the compressor can be installed easily to the vehicle engine and the location is close to the A/C system, this installion is most economical. Compressors are made by several different manufactures, come in different sizes, voltages, and output capacities. 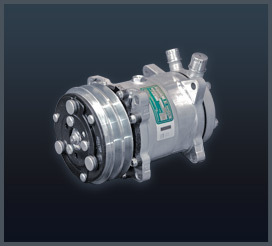 Visionaire offers a variety of engine drive compressors and accessories. 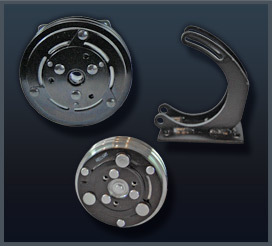 When it comes to choosing a compressor or mount, matching the correct parts for your system very important, call us with your application so we can help you with your compressor needs.